In the spirit of going to new places, our next stop was Anglesey. This island – off the north west corner of mainland Wales – is a popular tourist destination, but I’ve only ever been there once to get the ferry to Dublin, and Paul hasn’t been there at all. One of the things that Anglesey is known for is it’s thriving colony of Red Squirrels, in fact they have now started to appear on the mainland too. So our first parking spot was next to the Cefni reservoir where we knew there was a good chance of seeing them. I can tell you now – never park your motorhome under trees used by Red Squirrels (or probably any kind of squirrel). We were woken up at sunrise with a steady patter as discarded seed kernels from the conifers above us started to hit us. Every now and again we heard a large thunk as a whole cone was discarded. I swear we could hear them laughing at us for our stupidity. It did mean that it was easy to spot the red squirrels, we just had to wait for the noise to start and then to look up into the trees. They are very cute, but we will be more careful about our parking choices next time. Also in this parking spot were a pair of Lesser Spotted Woodpeckers who busily made their way up and down the tree trunks opposite us, as well as a good selection of other birds, so we had plenty of nature watching opportunities. From the Cefni reservoir we could access the Lon Las Cefni bicycle track. This bike trail is very flat, which was a blessing after a couple of hard days cycling and walking. 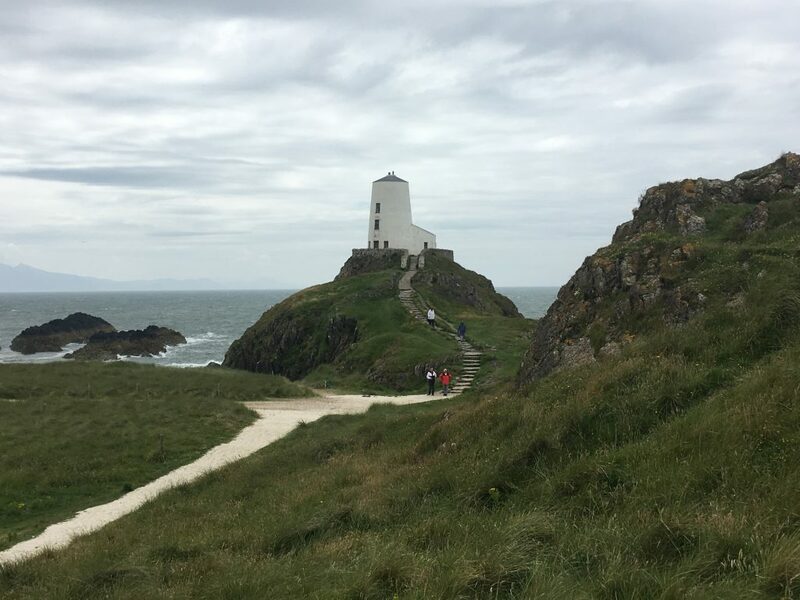 We took it as far as the Newborough forest and then struck off on forest tracks to the coast where we walked out to the lighthouse on Ynys Llanddwyn. Along the way we passed the shores of the reservoir before heading into the Dingle, a lovely area of woodland with boardwalks that can be explored for more opportunities to see birds and squirrels. 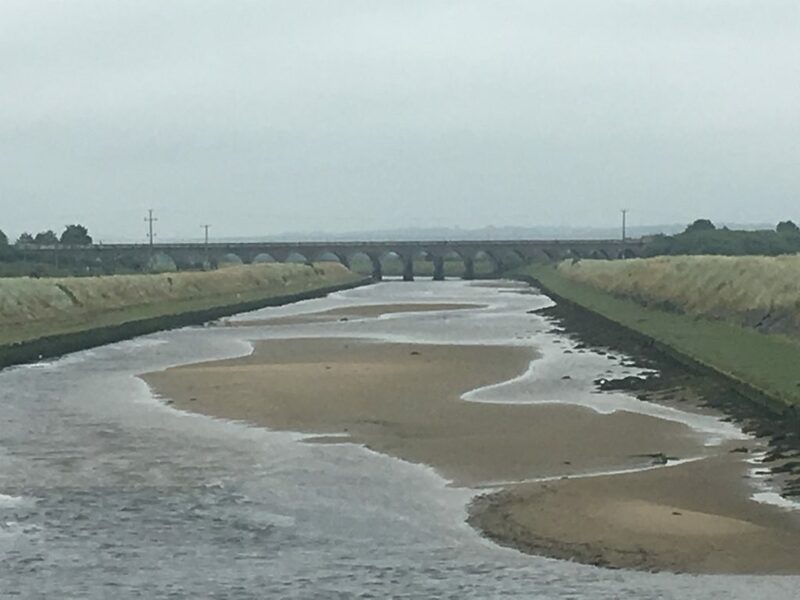 On the other side of the Dingle was Llangefni, one of the main towns on Anglesey, and from here we followed the Afon Cefni across wetlands to the village of Malltraeth. The wetlands must have been true ‘twitcher’ territory as we saw lots of people dressed in camouflage clothing with very large optical devices. From Malltraeth we went through the Newborough forest which is also meant to be home to a large population of red squirrels, but we didn’t have our squirrel sensing device (aka Bertie) with us and didn’t manage to see anything there. This forest was mostly coniferous, but unlike the usual densely planted evergreen forests where only moss can grow beneath the trees, the trees were more widely spaced with plenty of plants growing beneath them and all the wild flowers made it very beautiful. The beach on the other side of the Newborough forest was a wide expanse of sand and rocks with views of the mountains of Snowdonia across the Menai Straits ,emerging from this beach is Ynys Llanddwyn, a small peninsular or occasionally (at the highest tides) island. 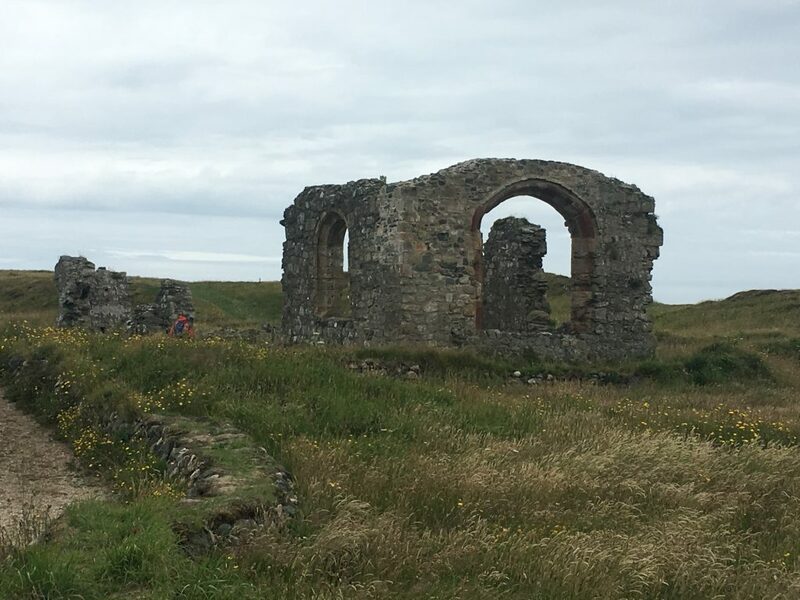 Here is the ruined church of St Dwynwen – the Welsh patron saint of lovers – a light house, an older beacon and several cottages which are now used as a information centre. There were seals on the rocks and plenty of sea birds. On the way down, the route may have been flat but the wind was in our faces and made it all feel like it was uphill. On the way back we were pushed by the wind and managed to do twice the speed to get back to Bertie and those pesky squirrels.